From the makers of the Original Club® - Accept no imitations! Opens to 32 inches. 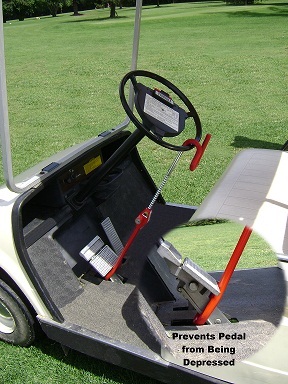 Fits MOST golf carts. Special! We have a limited supply of these without retail packaging. They are on sale now for $15.99 You can select this item and save 6 dollars from the dropdown at the top of the page.